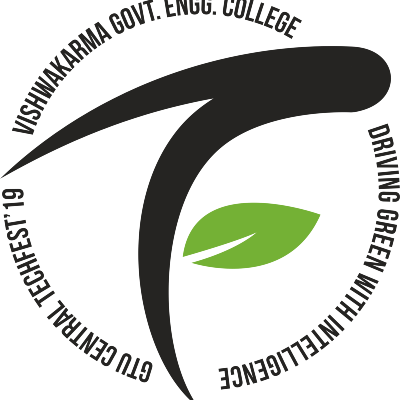 Vishwakarma Government Engineering College is hosting the GTU Central Tech-Fest’19, on the 8th and 9th of April 2019. Hitherto, GTU Central Techfest has been organized annually to bring together a legion of talents on the same dais. 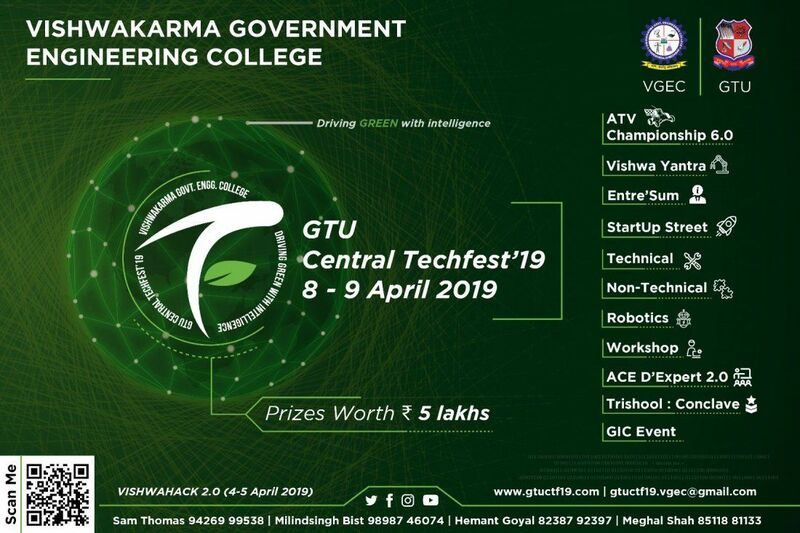 The erstwhile versions of GTU-Central TechFest, "GTU-CTF'16" and "GTU-CTF'18" were huge successes and received a myriad footfall of 10,000+ and 15,000+ students respectively. This year the event covers social causes like traffic management, blood donation, election awareness and a run for ‘Green Environment’ along with invigorating competitions including 50+ technical and non-technical events, 6+ entrepreneurship events, 5+ workshops, Ace d Expert talks, astounding ATV 6.0 Championship and a Conclave with diffusion of defense, atomic and space technologies ‘Trishool’ creating a latitude for students to burgeon their technical and managerial skills.